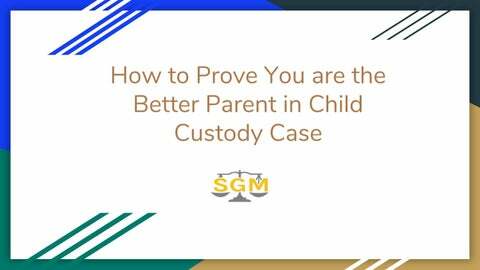 Present yourself as better Parents inquiring individual custody should direct on the following factors to help a sole custody appeal: The Physical Well-Being of the Child: There are so many things that come into play. ->Who will get custody? ->Who will make all of the important decisions in the childâ&#x20AC;&#x2122;s life? ->Where will they attend school? ->Do they have to move? ->Will they see the other parent, and how often? It can be an emotional and confusing time for all involved. The Psychological Well-Being of the Child: Sometimes it is difficult to come to an agreement between parents when it comes to child custody and visitation because one parent may not believe the other parent is suitable for the child to be around. How court decide? The courts will also take into consideration the relationship the child has with each parent. If the child favors one parent over the other, or if one relationship is more strained that the next, the court will do what is best according to the needs of the child. Some parents ask for sole custody while others agree to a custody arrangement so both parents are visible in the childâ&#x20AC;&#x2122;s life. Two forms of such custody are shared custody and joint custody. Depending on the needs of the child, a court may decide which option is best. Both shared custody and joint custody fall under the umbrella of shared parenting. What happen if you don't win Going through a child custody battle is stressful and emotional enough, especially if your partner has cheated on you. There are many certain case where you don't won the case. What should you do, there are plenty of options but You need a team of attorneys who can empathize, also be aggressive enough to get you what you rightfully are entitled to. 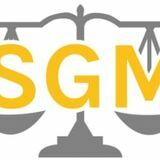 S.G. Morrow & Associates, P.A. will take care of you in the best possible way put you in a position to move forward satisfied. It is important to understand that both parents have rights, and an experienced attorney can make sure your parental rights are protected. How can an attorney is better choice Your child is very important to you, and you want the best for them. Stephanie G. Morrow and her team of legal professionals will do what it takes to make sure you and your child walk away with favorable results. When it comes to child custody, the needs of the child supersede the wants of the parents. For this reason, hiring a caring child custody attorney in Aventura is of the utmost importance. For a free consultation, contact S.G. Morrow & Associates, P.A and let one of their legal professionals assist you in doing what is best for you and your child. Not all decisions will be easy decisions, but in the end, their well-being is what matters most. Morrow Law Firm and your child custody case Stephanie G. Morrow and her associates at S.G Morrow and Associates, P.A. know what it takes to build a successful child custody case in your favor. As some of South Floridaâ&#x20AC;&#x2122;s premiere child custody attorneys, they have seen and been through it all. They know how to handle their cases with not just compassion, but also conviction. Their legal professionals want to make sure you get results that are favorable to you, but also in the best interest of the child. If you have child custody or visitation issues, give S.G. Morrow and Associates, P.A. a call and let them help guide you to the best solution possible. How to Prove You are the Better Parent in Child Custody Case?